Our Bubblebum in the minivan. One year old and still going strong. This isn't a problem if you are flying somewhere and hopping straight into a rental car for the duration of your trip. However, if you are only planning on using the booster for 1 or 2 days out of a 10 day trip, it becomes a pain to lug around or store it the rest of the time. Enter the Bubblebum booster seat. 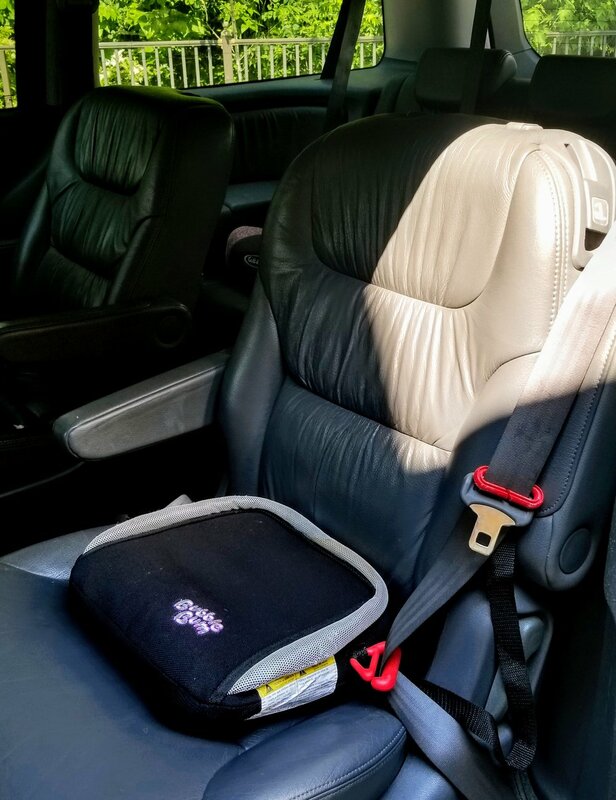 Invented by a Mom in Ireland who also disliked lugging large, plastic booster seats on trips, the magic of these seats are that they are inflatable. 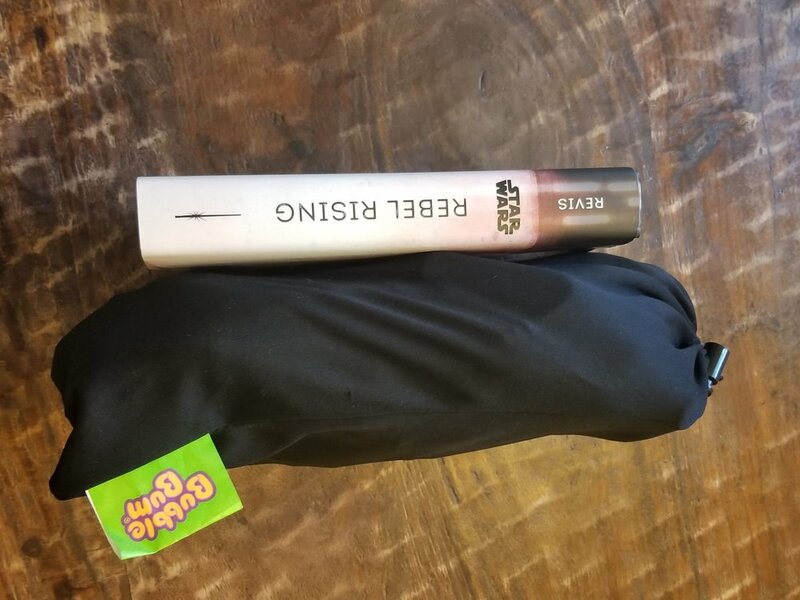 When you don't need the Bubblebum, it compresses down to about the size of a large, hardback book and weighs only a pound. The Bubblebum fits easily into a suitcase or even a small backpack, perfect for touring cities like Washington, DC or Paris, when you might only need it for the Uber ride home. If an inflatable booster seat sounds too flimsy to be safe, then be assured the Bubblebum has met all the safety requirements of the US and the EU. It has been crash tested and is recommended by the Insurance Institute for Highway Safety. 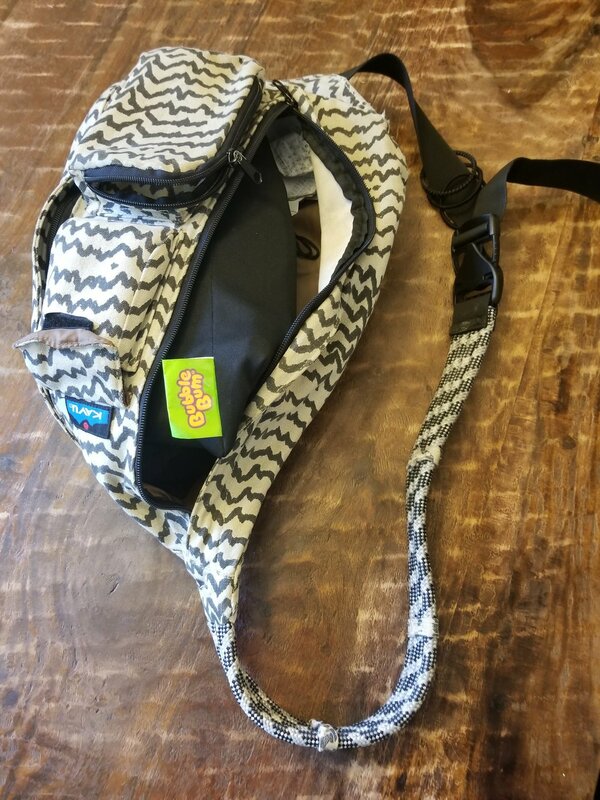 There are attachments for the lap belt to keep it in place, and it even has an attachment that attaches to the shoulder strap of the seat belt to keep the strap in place over the shoulder. You can the lap and shoulder strap attachments here. The Bubblebum is made out of the same material as life vests and airbags, so it is durable and stays inflated for a long time. We have kept ours inflated in the car for months with no leakage. It inflates quickly with just about 5 puffs and deflates just as quickly with a little pressure. I like to fold it in half, put my knee on it, and presto, deflated in seconds. The other benefit of the Bubblebum is that because of its small size, you can easily fit 3 of them across the backseat of a sedan, something I can't do with hard plastic booster seats. As an adult, I also find it far more comfortable to sit next to a Bubblebum for long periods-say on summer road trips- than a regular car seat. The downsides to the Bubblebum is that it takes a minute to get familiar with the lap belt and shoulder strap attachments. But like all technology, the kids mastered it faster than me and could belt themselves in in no time. One kid preferred his hard plastic booster seat at home but would use the Bubblebum on trips, while another preferred the Bubblebum at all times. The Bubblebum also makes a great gift for the grandparents or other family members that only occasionally drive children around. It is a lot easier to keep one of these in the trunk than a hard plastic booster seat. 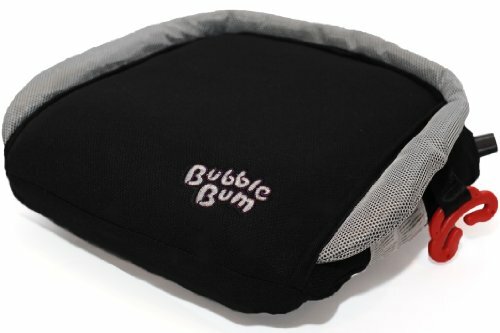 If you are looking for a great booster seat for traveling, then the Bubblebum is the best one I have found so far. We have two and have been very pleased with them. Heads up: We are not sponsored in any way and have never received compensation at the behest of any organization or company. We only recommend products that we own and use ourselves. If you buy something from one of the Amazon links above, we may receive a small commission but you won't pay a penny more. Full Disclosure statement.